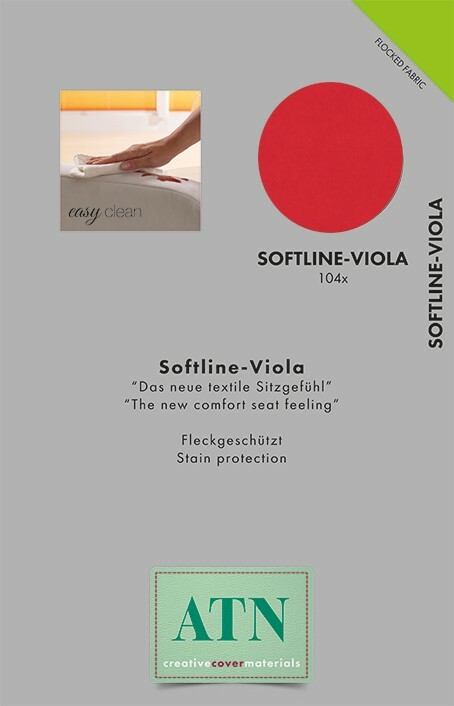 Softline is a pleasantly warm, soft and breathable fabric with a plethora of topical colours and textures. It is an ideal seat cover for upholstered furniture of every kind, occasional used for dining ensembles and benches. These high-quality upholstery fabrics should be cut and sewn like leather in order to enhance the luxury of the material. Our Softline range fabrics are created by a unique production process, which means they display slight colour and texture variations, are particularly robust and convince with their superb technical quality features. The fabric shading is a desired material characteristic. A flame resistant, anti-bacterial, anti-microbial and incontinence-proof finish is available upon request. Softline is quick and uncomplicated to attend. Almost all normal domestic stains can be removed by simply using water and a soft cloth – no chemicals needed! For particularly persistent stains simply add neutral detergent to the water, chemical stain removers must not be used. Cushion covers and removable covers can be washed using the delicates cycle at 40°C.